From the day the first man was born, he has remained a problem not only to himself and others but even to the Gods. So came the incarnations, prophets and saviours, according to mythological history. The complex has now been recognized as the human problem because man had been, is and will remain – may be for eternity – a problem unto himself, quite unpredictable as ever. Trials have been made throughout the period of civilization and culture to solve this problem of problems by peoples of all countries. Each claimed success through their own form of civilization and so there grew various ancient sciences and arts, social forms, and traditions of religion. That all these have failed so far is patent, what with the churning going on within the hearts of all men who neither feel free, happy, nor at peace. For this was their search – the search for freedom, for happiness, for peace and, if possible, for immortality. In India, a search for these goals first took the form of mundane prosperity (Yogaksema) as evident in Rigveda. In the amalgamated ideas of that time, may be thousands of years ago, the genesis of yoga flowered as a catalytic medium, referred to as a vehicle through the agency of which blessings of gods were invoked. But dependence on some outside agency to achieve prosperity, which is also the aim of the modern man at national and international levels in all spheres of life, was found wanting. Thus, it was soon realized that instead of solving the human problem of prosperity through an outside agency, if man began helping himself, he could achieve this economically, easily and definitely. 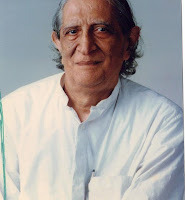 So instead of solving his problems by objective or mundane methods, the mad Muni of Vedic period settled down to a norm of inner culture later accepted as yoga – the standard and uniform technology of disciplining human personality so that in whatever conditions he is, he is still free, happy and at peace. Instead of wasting time in building temples and monuments to perpetuate his image of self, his idea of immortality was satisfied when he realized that his true self is eternal and absolute. Similarly, freedom was not objectively expressed as freedom from want and fear, freedom of worship and speech – the fundamental rights accepted by nations – because no man can ever be free from needs – his needs daily growing. So if he has a good meal, a good shelter and good clothes, he still wants them to be better. He is therefore not free. Today, with all that civilization and culture can offer him; he is still a State slave or a paid slave. In fact, no man can conscientiously say that he is free in the way he would like to be. The freedom which he seeks from within is of a different category and therefore this problem still remains a human problem. Happiness depends upon his attitude because a thing which gives happiness to one may not do so to another. Peace again is an achievement which does not come easily by the order of the State or other means. It requires a dispassionate, ethical life leading to a de-conditioned mind. All known systems of thought and philosophy including various traditions of religion accepted yoga as the supreme technology. The high esteem in which yoga was held in the past can be gauged from the statement in Yogabija that even gods could not achieve their godhood without the help of yoga. Unfortunately, this technology of yoga today is understood at the popular and government levels as physical exercises like Asanas, etc. Such a profane interpretation has given yoga a setback – and made it look cheap. What is needed to safeguard the future of yoga is rational and scientific evaluation of its technology by experts, who actually live the very life, in cooperation with unbiased and veridical scientists who should merely act as corroborators. It will then be possible to save yoga for posterity to help solve one’s problems by oneself insofar as these concern one’s freedom, happiness, peace and immortality. The other four freedoms of human rights can be solved if yoga discipline is accepted at all levels – economic, political, social, religious, etc. – by all as the basic way of life for solving human problems. Over more than half a century ago, when the founding of The Yoga Institute was conceived, this vision – that properly interpreted and evaluated yoga will survive – was fully evident. During this long period of yoga history, The Yoga Institute has proved its bona fides and has been successful in promoting all aspects of yoga education. As a result of the promotion of its technology, yoga is now being spoken of and respected in over sixty civilized countries of the world where the Institute is well known for its multipurpose activities. Although in a small measure, it has served the purpose of solving individual human problems, and it may be no surprise if the human society becomes transformed by taking to a new way of life should yoga education – integrated and evolved at the Institute – be given its proper place in the educational systems of all countries in due course. Published in the September 2011 edition of Yoga & Total Health Magazine.